Founded in the spare bedroom of William Cook’s Indiana apartment in 1963, Cook Medical is the world’s largest, privately-owned medical device manufacturer. An innovator in creating devices used in minimally invasive surgery, its transvaginal surgical mesh and blood clot filters have been the subject of recalls and costly litigation. Cook Medical’s first products consisted of wire guides, needles and catheters. By 2017 the company had manufacturing plants on three continents, distributed products to 135 countries and had an estimated $2 billion in annual revenue. Part of a 42-company Cook Group conglomerate, Cook is best known for designing and manufacturing devices used in minimally invasive procedures to diagnose and treat medical conditions. Cook’s innovations have been largely responsible for reducing the need for open heart surgery. The company was a pioneer in products used in minimally invasive cardiovascular surgery in its early years. Cook’s products redefined the role of catheters from a diagnostic tool to a therapeutic one. The company’s five decades of innovations have been largely responsible for reducing the need for open-heart surgery. Cook also introduced the first coronary stent, a device placed in blood vessels of the heart to repair blocks. Cook Medical’s business is built around 10 company divisions covering 41 medical specialties. These range from medical devices and tissue and cellular-based products to contract research and clinical trial management. In 1963, William Cook and wife Gayle invested $1,500 to buy a blowtorch and some plastic tubing and started making medical catheters in a spare bedroom of their Bloomington, Indiana, apartment. Cook’s catheters were used in a procedure called angiography. They were inserted into a patient’s blood vessels to deliver a substance that would show up on an X-ray. Doctors could then use those X-ray images to examine problems in the vessels and plan surgery or other treatments. Cook told an interviewer in 1980 he never expected to make much more than $1,000 a month selling his products when he started. But a chance meeting with Dr. Charles Dotter in the 1960s changed the direction of his small company. Dotter would be nominated in 1978 for the Nobel Prize for pioneering interventional radiology, a specialty that uses minimally invasive procedures to gather images of practically every organ system in the body. In the 1960s, Dotter believed catheters could be used for therapeutic, minimally invasive procedures and so could replace expensive and difficult open-heart surgeries. In 1964, Dotter first described what is known as angioplasty. A catheter is run into a blockage in a blood vessel in the heart. A balloon is inserted through a catheter to a blocked portion of a cardiac blood vessel, and it is then inflated to expand the vessel and restore normal blood flow. Cook’s association with Dotter led to new devices that allowed for minimally invasive heart procedures. They inspired doctors to send Cook their own observations and ideas, creating a cycle of sales and innovation that became a hallmark of the company. In the 1970s, Cook Medical expanded to Europe and Asia and the company estimated doctors performed 2,000 heart catheter procedures with Cook products every day. By the mid-1980s, Cook Medical was doubling sales year over year. The company founded its MED Institute to process the suggestions coming in from doctors, allowing Cook to take products from concept to market more quickly. It also allowed the company to expand its product line into gastrointestinal endoscopy, urology and women’s health. In the 1990s, Cook introduced the first intravascular coronary stent. The cage-like medical device could be placed through a catheter into a collapsed vessel of the heart. Inflating a balloon would expand the stent until it formed a “scaffold” to hold the vessel open. The balloon and catheter could be removed, and the stent stayed in place. Innovation and new product development expanded the company’s scope in the new century. As of 2017, Cook Medical manufactured more than 16,000 products. 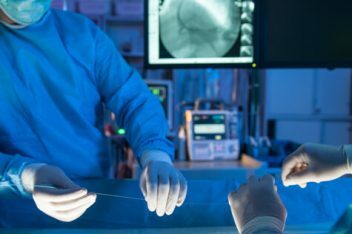 First approved by the U.S. Food and Drug Administration (FDA) in 2012, Cook’s Zenith aortic stent grafts have revolutionized procedures to repair the aorta. The aorta is the largest artery in the body. If it is damaged by an aneurysm, which is an excessive enlargement, its walls can weaken and burst. Surgeons can sometimes repair aortic aneurysms through a risky open-heart procedure called abdominal aortic surgery. A surgeon opens the abdomen to expose the damaged artery and repair it with a graft. Cook’s Zenith aortic stent grafts offer a minimally invasive alternative to riskier open heart surgery. The risk of dying from complications from this surgery can be as high as 50 percent. The Zenith system offers a minimally invasive alternative that can be completed in about an hour using only local anesthesia. Cook’s Zilver product line, first approved in 2012, features drug-eluting stents for treating peripheral artery disease – a condition in which narrowed arteries reduce blood flow to the arms and legs. In addition to expanding and supporting a damaged blood vessel, Zilver devices slowly release medicine into the blood and surrounding vessel to treat blockages. In 2017, Cook Medical received FDA authorization to market a device to treat a rare birth defect. Pediatric esophageal atresia is a condition in which the esophagus fails to fully develop and attach to the stomach. The Flourish Pediatric Esophageal Atresia device uses minimally invasive techniques to implant rare earth magnets in the upper and lower ends of the baby’s unformed esophagus. Over several days, the magnets stretch both ends until they are pulled together, connecting tissue to create a fully formed esophagus. The system provides an alternative to major surgery that would require opening the baby’s chest and rib cage. The FDA granted the device authorization under its Humanitarian Device Exemption (HDE) and as of May 2017, 16 babies had been successfully treated with the Flourish system. On May 16, 2017, the FDA granted Humanitarian Use Device (HUD) designation to the Flourish System. A HUD treats or diagnoses patients with a condition that affects fewer than 4,000 people per year. To receive HUD designation from the FDA, Cook Medical had to demonstrate safety and that the potential benefit outweighs the risk of not using the device. In the two-year period between July 2014 and June 2016, Cook Medical issued multiple recalls affecting millions of individual devices. 8,750 Roadrunner UniGlide Hydrophilic Wire Guides used to direct catheters into the veins and arteries mainly in the limbs. The coating, made by a supplier other than Cook, was contaminated with glass particles. 4.1 million catheters with Beacon Tip technology used in medical imaging, diagnostic and other medical procedures. There was a risk the tips could fracture or separate based on 30 medical device reports. This followed two smaller recalls of the same types of catheters in July and October 2015. 12,516 Single Lumen Central Venous Catheter Sets and Trays used in blood vessel monitoring, blood sampling and delivering drugs or other fluids. The catheter tips could potentially split or fracture. 696 CloverSnare 4-Loop Vascular Retrieval Snare devices used to retrieve or manipulate foreign objects such as balloons, catheters or filters in blood vessels. The device has a series of loops at its tip that separated from the shaft in six cases. Four of those required medical intervention and the company received 42 medical device reports on the snares. During this same period, the company was undergoing what its leaders called “the Transformation” – a retooling of quality control and manufacturing procedures following a warning letter from the FDA in September 2014 following an inspection of the company’s Bloomington, Indiana, facility. FDA warning letters are a serious admonition from the agency over practices that can affect the quality and safety of medical products. The four-page letter to Cook Medical warned that the problems FDA inspectors found “may be symptomatic of serious problems” with Cook’s manufacturing and quality control processes. By 2017, Cook Medical faced hundreds of lawsuits over two of its products, transvaginal mesh (TVM) and inferior vena cava (IVC) filters. The FDA reclassified transvaginal meshes as “high-risk” medical devices in 2011. TVM was used to repair pelvic organ prolapse (POP), a condition in which the tissue holding pelvic organs in place becomes stretched or weak. TVM was also used to treat stress urinary incontinence (SUI), a condition in which urine leaks during actions such as exercise, coughing or laughing. In 2011, the FDA issued a safety communication stating that serious complications from the use of TVM were not rare and reclassified the mesh as a “high-risk” medical device. In 2013, Cook was one of six manufacturers named in lawsuits over serious complications resulting from TVM. While more than 100,000 lawsuits were filed against all the manufacturers, only about 600 of those were against Cook and its Biodesign Surgisis mesh. The cases have been consolidated by the company into six separate multidistrict litigations (MDLs) in federal court in West Virginia. MDLs allow similar cases to be combined so they can move more quickly and efficiently through the legal process. As of May 2017, just over 500 cases were still pending against Cook in the MDL. IVC filters were another device that generated many lawsuits. IVC filters are cage-like devices placed in the largest vein of the body to capture blood clots. The devices may break, sending parts into veins or even the heart. The devices may break, sending parts into veins or even the heart. There have also been cases of the whole device migrating through the body. Cook Medical was one of the three largest manufacturers of the devices by 2013. The other two were C.R. Bard and Johnson & Johnson’s Cordis subsidiary. Some of Cook’s IVC filters had high rates of problems and by 2012 the company was facing hundreds of lawsuits. 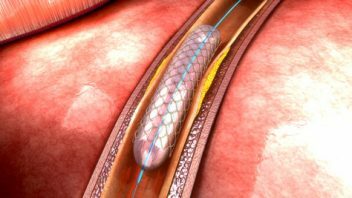 As of May 2017, more than 1,900 lawsuits were still pending against Cook over its IVC filters in a MDL before an Indiana federal court. In 2015, the Indianapolis Business Journal estimated the cost of Cook’s expenses for dealing with recalls, warning letters and lawsuits at $20 million a year – roughly two percent of its annual revenue.